Narrated by John Bishop, this ultimate extended extravaganza celebrates the best of the Clarkson, Hammond and May years, featuring classic footage, inside facts and quirky statistics from 13 years of the world’s biggest motoring show. Laugh with some of the funniest, oddest and silliest moments from Top Gear in alphabetical order with each of the letters introduced by a star guest from the Top Gear celebrity fold. Top Gear From A-Z goes..
Jeremy Clarkson and Richard Hammond go in search of the perfect road trip in these special episodes from the BBC motoring series. Their first attempt takes them on a seven-day journey from Venice, Italy to Pau, France. Along the way the pair visit the Autodromo Nazionale Monza race track and take to the road in Monaco. The show features a range of cars including a Ford Model T, a Ferrari F12 Berlinetta, a Porsche Cayman S and an Aston M..
Clarkson and May, in a seriously modified Toyota, take on Hammond and his dog sled in a 450 mile race to the North pole as they drive over thin ice to face in-tent hostilities, polar bear fear and desperate food fantasies. Special Features Includes Exclusive Unseen Footage..
Own Top Gear - The Best Of The Specials DVD from Deff, DVD, Blu-Ray & 4K Video Specialists - Free UK Delivery..
Top Gear specials are known for epic journeys, incredible scenery and the amusement of three idiots having a hard time. What they're not known for is challenging civil engineering projects. Until now. In this special Clarkson, Hammond and May don't just buy three knackered old lorries and drive miles through the beautiful landscapes of Burma. Oh dear no. They actually have to use their lorries to do something useful. They have to build ..
Own Top Gear - The Burma Special DVD from Deff, DVD, Blu-Ray & 4K Video Specialists - Free UK Delivery..
Own Top Gear - The Challenges 1 to 4 DVD from Deff, DVD, Blu-Ray & 4K Video Specialists - Free UK Delivery.. Races, chases and things on fire; treat yourself to a bucketload of Top Gear's attempts to get melted, hurt or drowned. To more cries of "How hard can it be? ", "That's not gone well" and "You insufferable oaf! ", Jeremy Clarkson, Richard Hammond and James May gallantly risk humiliation in another series of magnificent challenges, where petty rivalries are taken much too far... Amphibious Cars The Sequel: The magnificent return of the hom..
Own Top Gear - The Complete Specials DVD from Deff, DVD, Blu-Ray & 4K Video Specialists - Free UK Delivery.. Ten special episodes in one box. 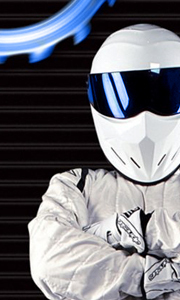 Featuring the biggest, baddest and wildest challenges the Top Gear boys have ever faced. Great Adventures 1 US Special Polar Special, The Director's Cut Great Adventures 2 Botswana Special, The Director’s Cut Vietnam Special Great Adventures 3 South America Special The Director’s Cut, Romania & Bonneville Special The Director’s Cut Great Adventures 4 Middle East Special The Director’s Cut, US Road Trip.. Seven days, more than 1,000 miles, 20 cars, two boats, a motorbike and one dream ... The Perfect Road Trip. The aim: to select the ideal mode of transport for each leg of a pilgrimage from Venice, Italy to Pau in France - home to a legendary street circuit and the origins of Grand Prix racing. On the way we prepare by taking to the track at Monza - the home of Italian Formula One. We try to get noticed on the road course in Monaco in a ..
At The Movies: Cars! Film! Cars on film! Film involving cars! You get the idea. It's basically a Blu-ray involving those two things. Gasp as we find the perfect drift car for a gritty, Bourne Identity-style chase! Cheer as we stage a race for all those unsung heroes of the movie industry! Whoop as we find the car that makes the perfect dramatic exhaust note to dub onto an action sequence! Make some other sort of noise we haven't thought..
Own Top Gear Series 16 DVD from Deff, DVD, Blu-Ray & 4K Video Specialists - Free UK Delivery..
Own Top Gear - A to Z The Ultimate Extended Edition DVD from Deff, DVD, Blu-Ray & 4K Video Specialists - Free UK Delivery.. The definitive guide to motoring in a post apocalyptic world. Just what will motoring be like in a post apocalyptic world that's been blown to bits by nuclear bombs or a massive comet? It's a burning question that's on literally nobody's mind, and we give you all the answers in this brand new, incredibly cheerful Top Gear blu-ray. Embarking on a terrifying journey into the future, we show you how to drive to work in the perpetual darkne..
Cars! Film! Cars on film! Film involving cars! You get the idea. It's basically a Blu-ray involving those two things. Gasp as we find the perfect drift car for a gritty, Bourne Identity-style chase! Cheer as we stage a race for all those unsung heroes of the movie industry! Whoop as we find the car that makes the perfect dramatic exhaust note to dub onto an action sequence! Make some other sort of noise we haven't thought of yet as we r..
Own Top Gear - Best Of British DVD from Deff, DVD, Blu-Ray & 4K Video Specialists - Free UK Delivery..
Own Top Gear - Greatest Hits DVD from Deff, DVD, Blu-Ray & 4K Video Specialists - Free UK Delivery..
Own Top Gear - Polar Special / US Special / The Challenges 1 DVD from Deff, DVD, Blu-Ray & 4K Video Specialists - Free UK Delivery..
Hello and welcome to my Top Gear Stunt Challenge DVD. packed onto this tiny silver disc you'll find a whole festival of brand new never seen before daredevilry, plus some stunt footage from the Top Gear telly show and an entire Interactive quiz extravaganza. Best of all, whilst you're playing along at home you get to control the action, so if you've ever fancied bungee jumping a caravan, blowing up a white van, or playing skittles with ..
Own Top Gear - The Challenges 1 DVD from Deff, DVD, Blu-Ray & 4K Video Specialists - Free UK Delivery..
Own Top Gear - The Challenges 1 to 2 DVD from Deff, DVD, Blu-Ray & 4K Video Specialists - Free UK Delivery..
Crashing, bashing and a bus that falls over! It's all Top Gear's very latest fast, fearless and rather daft challenges in one attractive plastic box. Jeremy, Richard and James embark on yet more ill-advised attempts to out-do each other in a stinky cloud of tyre smoke, rust and over-ambitious mucking about. Cheap Alfas: The boys try to prove that old Alfa Romeos are proper petrolheads' cars by buying sub-£1,000 Italian rustbuckets and ..
Own Top Gear - The Challenges 3 Gift Set DVD from Deff, DVD, Blu-Ray & 4K Video Specialists - Free UK Delivery.. Hot places! Cold places! Places where the temperature is quite pleasant! Theres nowhere Top Gear hasn't been in the name of temperature based entertainment. Train Race: What would Top Gear have been like in 1949? To find out, Jeremy took a newly built steam train, James an old Jaguar and Richard a legendary - if painful - motorcycle for a race from London to Scotland. Electric Car: The question - could Top Gear build an electric car f.. Allow us to present yet another Challenges Bonanza crammed with volcanoes, World speed records, flying caravans, unstable Reliant Robins, jaw dropping races and cars exploding all over the place. No other programme offers so much, for so little of your I.Q. Motorhomes: The motorhome has been with us for many years, but Jeremy, Richard and James are convinced they can do better. As this cliff-hanger of a film proves, they really can't. ..
Top Gear: The Challenges 6 combines all the meaty goodness of incredible car-based endeavours with all the tasty treats of brilliant star guests and a delicious gravy of pure distilled Stigginess. Counts as one of your recommended five-a-day intake of three silly men arguing, falling over and accidentally setting things on fire. The Ashes: Jeremy, Richard and James welcome their colleagues from Australian Top Gear to Britain by picking..
Own Top Gear - The Great Adventures 1 DVD from Deff, DVD, Blu-Ray & 4K Video Specialists - Free UK Delivery..
Own Top Gear - The Great Adventures 1 to 4 DVD from Deff, DVD, Blu-Ray & 4K Video Specialists - Free UK Delivery..
Own Top Gear - The Great Adventures 2 DVD from Deff, DVD, Blu-Ray & 4K Video Specialists - Free UK Delivery.. If this Blu-Ray contained any more adventure, it would have a snake in it. South America Special: The Director's Cut: What happens when you take a tall man in jeans, a small man dressed as Ray Mears, and a shaggy haired man with the most ridiculous tool belt you've ever seen and you drop them deep in the Amazon rain forest? Well, either you don't see them again until some proper explorers find their still-screaming skeletons. Or, as a..
Own Top Gear - The Great Adventures 3 DVD from Deff, DVD, Blu-Ray & 4K Video Specialists - Free UK Delivery..
Middle East Special: In their biggest adventure yet (until next year's DVD), Jeremy, Richard and James attempt to recreate the journey of the original Three Wise Men as they bumble their way across the Middle East towards Bethlehem. But this high octane nativity play is fraught with danger and incompetence. Will they survive the hair-raising landing in a Russian transport plane? Will they get out of Iraq in one piece? Will Jeremy's bull..
Own Top Gear - The Great Adventures 4 DVD from Deff, DVD, Blu-Ray & 4K Video Specialists - Free UK Delivery..
India Special: In their most politically perilous overseas adventure to date, the boys defy the Prime Minister by embarking on a trade mission to India armed only with three old British cars, a trouser press and a badly behaved lawnmower. Along the way they attempt a disastrous train-based advertising campaign, host a rather unusual garden party and invent a brand new sport called straight six cricket. Plus, Jeremy has a small accident,..
Own Top Gear - The Great Adventures 5 DVD from Deff, DVD, Blu-Ray & 4K Video Specialists - Free UK Delivery..
Own Top Gear - The Great African Adventure DVD from Deff, DVD, Blu-Ray & 4K Video Specialists - Free UK Delivery..
Petrolheads Jeremy Clarkson, Richard Hammond and James May embark on a 1600-mile trip through Patagonia in this special episode from the BBC motoring series. The trio journey through Chile and Argentina to a lodge once occupied by Butch Cassidy in their respective Porsche 928, Ford Mustang and Lotus Esprit. The team's final goal is to reach the world's southernmost city of Ushuaia to take on the Argentines in a game of car football, but..
Own Top Gear - The Patagonia Special DVD from Deff, DVD, Blu-Ray & 4K Video Specialists - Free UK Delivery..
We're back! Because, frankly, we think we can do better. Our first Perfect Road Trip ended badly. This time we're determined to get things right. So, it's Italy... 500 miles from Venice to the Isle of Capri via Bologna, Siena, Rome, Pompeii, Sorrento and Positano on the stunning Amalfi coast. This time we're pulling out all the stops for perfection with the McLaren 650S and its fellow 200mph-clubber, the Lamborghini Huracan. Throw in th.. Seven days, more than 1,000 miles, 20 cars, two boats, a motorbike and one dream...The Perfect Road Trip. The aim: to select the ideal mode of transport for each leg of a pilgrimage from Venice, Italy to Pau in France - home to a legendary street circuit and the origins of Grand Prix racing. On the way we prepare by taking to the track at Monza - the home of Italian Formula One and get noticed on the road course in Monaco in a Bugatti, ..
Everyone has an opinion on bad cars... now it's time to hear the ones that really count - ours... As it's The Worst Car In The History Of The World, we're on our travels ... to the North of England ... to name and shame the most rubbish car from a manufacturer which, frankly, should have known better. But, it's not all about hateful cars ... Oh no. You have to revel in some good ones to appreciate the stinkers. There's the Ferrari 458 s..
Own Top Gear - Top Gear At The Movies / Apocalypse DVD from Deff, DVD, Blu-Ray & 4K Video Specialists - Free UK Delivery.. Being a Top Gear presenter is often described as being the best job in the world, especially if you work in a factory gutting chickens, (which I used to do). So in this DVD, featuring stunts and tomfoolery never seen on TV, I show you how to master the dark art of being a Top Gear host, and how to make your own Top Gear show. This DVD will change your life forever. Probably. How To Make A Top Gear Film In Your Own Home: Haven't got a..
Own Top Gear - Winter Olympics DVD from Deff, DVD, Blu-Ray & 4K Video Specialists - Free UK Delivery.. The Complete 10th Series including The Botswana Special. Series 10 features challenges that only the very brave – or the very stupid – would dare to undertake. For example, who in their right mind would attempt to drive through the Kalahari Desert in three 20-year-old bangers? Or try to cross the treacherous English Channel in a fleet of amphibious cars that are less seaworthy than the average church? The Top Gear boys of course. But To..
Series 13 of this BAFTA-winning show skids, roars and explodes its way back onto DVD, with man versus machine experiments, exhaustive road tests of the latest models, a look back at the history of motoring, weekly power tests featuring the world’s most exotic super-cars… and a surprise revelation. Hot on the heels of their epic challenge in Vietnam, Jeremy, Richard and James are no less ambitious for Series 13. James goes for a ride wit..
Own Top Gear Series 14 DVD from Deff, DVD, Blu-Ray & 4K Video Specialists - Free UK Delivery..
Jeremy, Richard, James and The Stig are back in the all-singing, all-dancing 15th series of the world’s biggest car show. In this series the boys attempt to build cool motorhomes, go to Germany to make their own track day videos, and celebrate the British sports car with a nostalgic road trip to Blackpool. There’s also Jeremy’s famously wobbly look back at the Reliant Robin three wheeler, James’s plucky attempt to drive a Toyota Hilux u..
Own Top Gear Series 17 DVD from Deff, DVD, Blu-Ray & 4K Video Specialists - Free UK Delivery..
Own Top Gear Series 19 to 20 DVD from Deff, DVD, Blu-Ray & 4K Video Specialists - Free UK Delivery..
All six episodes from the 23rd series of the BBC motoring show with new presenters Chris Evans and Matt LeBlanc. Featuring the usual blend of vehicle reviews, celebrity interviews, motoring challenges and in-studio banter, this series sees the new hosts joined by fellow presenters Eddie Jordan, Chris Harris, Sabine Schmitz and Rory Reid as well as celebrities including Jesse Eisenberg, Jenson Button, Kevin Hart and Bear Grylls for the n..
Own Top Gear Series 23 DVD from Deff, DVD, Blu-Ray & 4K Video Specialists - Free UK Delivery..
Oh, the weather outside is frightful… so get out there and start doing some stupid stuff in cars. Yes, whether it’s racing a rally car against a bobsleigh, playing ice hockey with tiny Suzukis, or seeing if a Ferrari can get you from Britain to the ski slopes quicker than a plane, Top Gear has always been at the cutting edge of cold-weather, car-based cocking about. Can a combine harvester be turned into a snow plough? What happens ..